Economical - Convenient - Commercial Free - Travel Free! 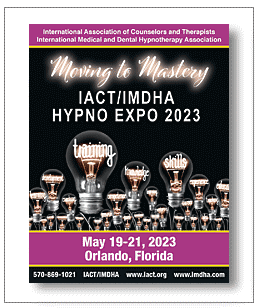 Attending the Hypno Expo conference offers you the highest potential to advance in our field. It enables you to emerge with insights that go far beyond the ‘who, what and where’ learned in books, videos and online. Live participation provides a 360-degree perspective from experienced, well-informed educators. While there is no substitute for the live energy exchange that takes place onsite, we are also offering the next best thing… a Virtual Conference! We are keeping our promise—to bring you the most innovative, educational opportunities available anywhere! And we’re proud to be the FIRST hypnosis organization to offer you an alternative of CHOICE—‘Live’ participation in sunny Daytona Beach, Florida, or ‘Virtual’ participation in the comfort and privacy of your home or office. Yes, you DO have a choice! And we look forward to having you attend the conference in whatever venue best fits your personal and professional needs. Do you find yourself in any of these dilemmas each year conference time rolls around? As valuable as the education is, and no matter how great the speakers are, you just can’t attend because…. In these economic times it’s just not within your budget. You have difficulty getting time off from your day job or your practice. Family members don’t like you leaving for an extended length of time. International travel is sometimes difficult to arrange. You have health concerns that make it impossible to travel. You have outside obligations that prohibit you from attending. WE HEARD YOU! Now you can JOIN US VIRTUALLY!!!! We are streaming the annual conference LIVE over the internet! This means you can watch the lectures - in real time – in the comfort and privacy of your home or office. Global educators from all corners of the globe have teamed up for this incredible event. Choose from three lectures each hour (excluding lunch) — Friday, Saturday and Sunday. And here’s the clincher—you can fulfill your Association’s annual continuing education certification requirements by attending this event. bringing the Hypnosis Conference to you! Plan now to attend. Register for the Hypno Expo Virtual Conference. Learn from top speakers around the world as they present 45-minute lectures on a wide variety of topics for both beginners and advanced practitioners. Learn new techniques and new ideas in the field of hypnosis. There will also be a variety of topics for those who are simply interested in hypnosis and mind-body wellness, so be sure to invite your friends and family—everyone is welcome! If you can’t choose between presentations – NO PROBLEM! In addition to watching the conference streaming live, you get ALL the handouts in a digital format. Why should you attend the Hypno-Expo Virtual Conference? Choose from nearly 48 hours of hypnosis education from some of the most respected names in the profession. Connect with speakers from all over the world via the internet. One low price, no additional fees or hidden costs. Computer compatible with nearly 100% of all personal PCs. Lectures are in streaming video! See, Hear, & Feel the excitement as it is happening! No Advanced Computer Skills Necessary! If you can click your mouse - you can attend this conference. Learn techniques and information to expand your practice that you can actually use the very next day! Classes are open to the public! 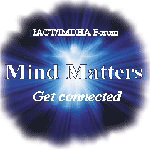 Available to anyone with an interest in Hypnosis and Mind/Body Wellness. Watch as techniques are demonstrated just as if you were sitting in the audience. Free access to - nearly 48 hours of education!